Summer is just around the corner and I don’t know about you, but the one thing I think about during the summer is going swimming. Where is the best place to go swimming at Walt Disney World? That’s pretty easy. It’s at one of the best water parks in the whole world. his month we take a close look at Typhoon Lagoon and Blizzard Beach; which are, in our opinion, the best water parks anywhere. It doesn’t get any better than the Disney water parks, but we also wanted to cover some of the other entertainment options around WDW. 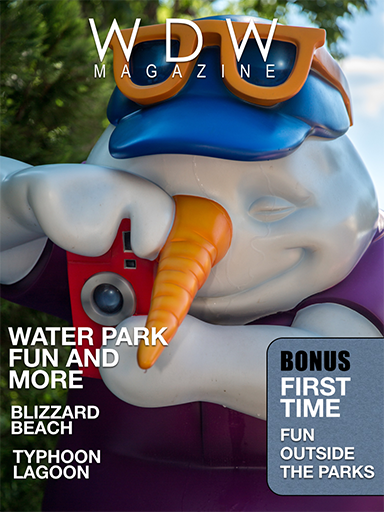 Check out our articles on WinterSummerland, Fantasia Gardens and DisneyQuest. In our Helping Hands section this month Dave looks at fun outside the parks, Kathleen looks at resort pools and games, we see how to make cold/Frozen items, and Lisa shows us how to make some really cool summer games. Our Best of WDW looks at some of the great things around the water parks. The attraction of the month is Castaway Creek, the resort is the Contemporary, the restaurant is LowTide Lou’s and the gift shop is the Beach Haus. We’ve got lots more for you to check out. 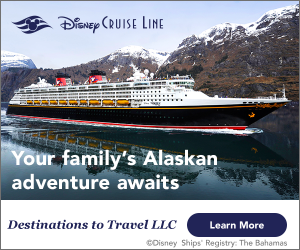 We’ve got News, pictures, Vinylmations, questions and answers, a Disney Cruise Line post and lots more. You don’t want to miss a word so I’ll quit writing so you can get started.